The sequel to The Boy Who Spoke Dog. A year ago, he was stolen from her—kidnapped by his own shipmates and taken out to sea. But because of her strange connection to him, Moxie the collie knows that her beloved human, Jack, has returned to Dog Island—and not a minute too soon. Food has become scarce for all the dogs of the island, and now their very lives hang in the balance. But Jack has not come alone. Blackburn Jukes, an evil and desperate crook, has come, too, and he has taken Jack prisoner. Moxie knows that without Jack the dogs will surely starve to death. She is determined to rescue him, but she can’t do it on her own. 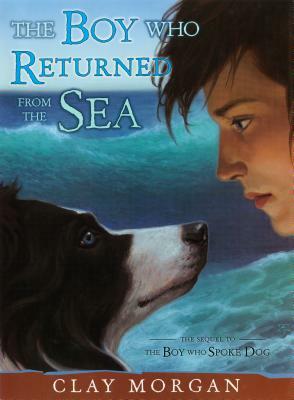 The courageous collie learns she needs to trust her instincts—and some unlikely allies—if she is to save Jack and the island she calls home. Clay Morgan has won awards for his travel writing and novels and also won the Idaho Governor's Award for Excellence in the Arts. In 2002 he was awarded the NASA Public Service medal for "exceptional service to NASA's mission," for writing the history of Shuttle-Mir. Mr. Morgan's other books include The Boy Who Spoke Dog and Santiago and the Drinking Party. He lives in Houston with his wife, NASA astronaut-teacher Barbara Morgan, and their sons, Adam and Ryan.